Did ya think I moved....did ya think my computer broke....did ya think maybe I passed on to wherever I might be headed?? Well, no to all of the above. I just got lazy, spent a lot of time enjoying the back porch, took a mighty fine trip to Michigan, and my sweetie was back in the hospital. Can't seem to get thru a summer now without at least one trip to the hospital. And every single (insert 4 letter word here) time it has been a UTI. Nasty things they are and it really wrecks havoc on my sweetie. Another 5 days in the hospital, but he is back at the nursing home and doing OK. There will definitely be more about this later (unless I fall into my "no blog" mode again) I don't like that mode, I miss you all. 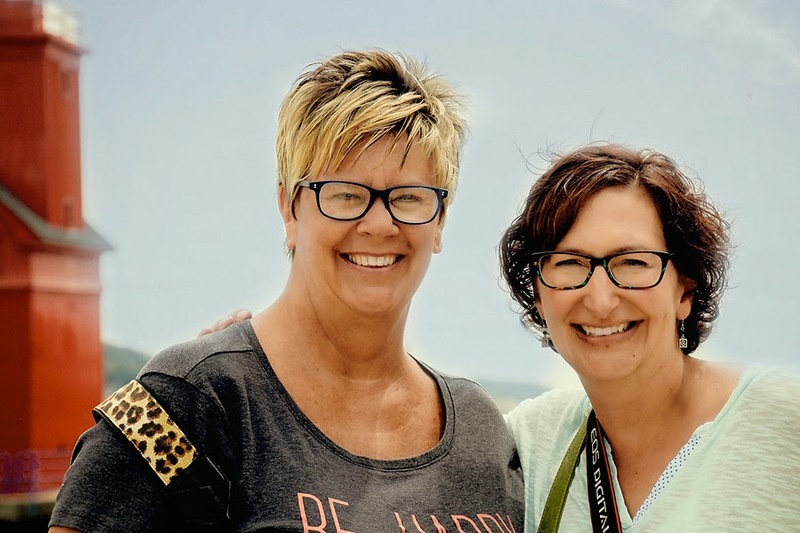 Anyhow, one of the adventures that happened since I last blogged was a wonderful trip to Michigan to meet up with a couple of bloggers who I am sure many of you know....Patti on the left from My Happy Place and Sarah from Paisley Rain Boots. I stayed with Patti and her husband, Dream Boy for two nights and what wonderful hosts they were and ofcourse Wonder Dog was there as well. Then on Friday we met up with Sarah in Holland, MI and wandered thru Holland, Windmill Island where my grandson was married 4 years ago, and Saugatuck where my sweetie and I spent almost 20 years there each summer. I must admit that when seeing the bench where we always sat watching the boats wind up and down the river tears rolled down my cheek. It really tugged at my heart seeing these spots again, knowing that I will never enjoy them with my sweetie.....only in my memories. 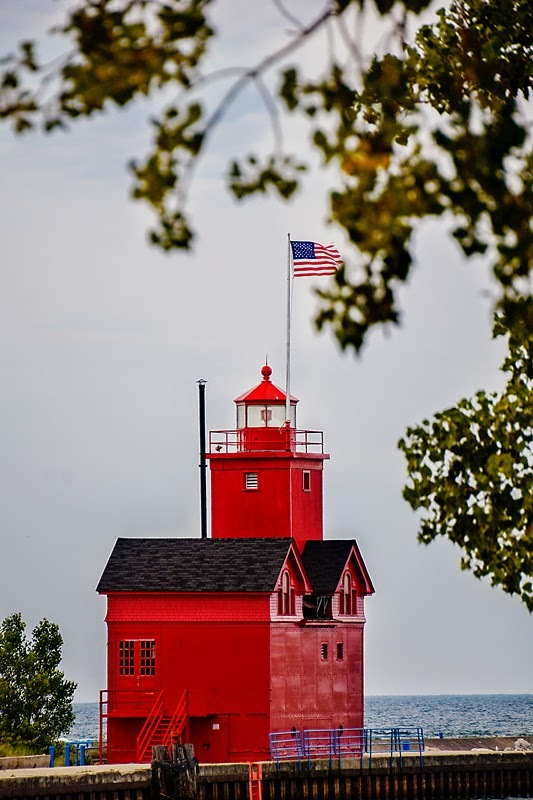 The lighthouse, lovingly referred to as "Big Red" resides along the shores of Lake Michigan in Holland. 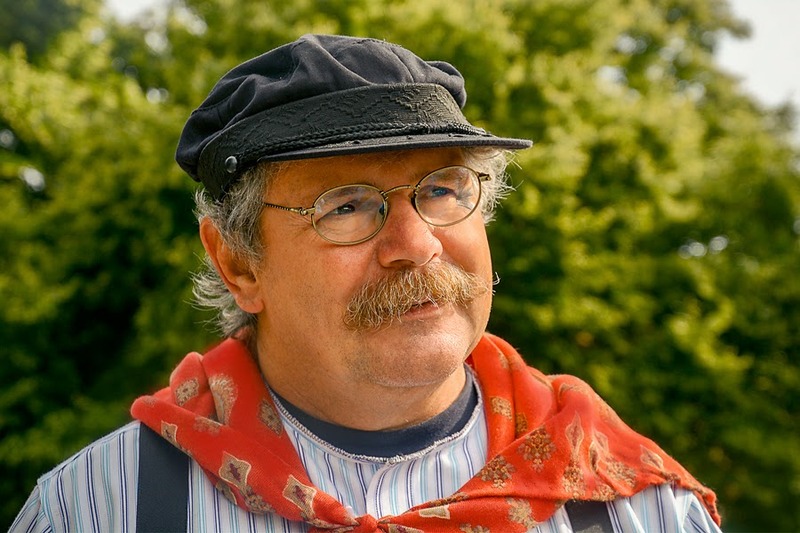 This fine looking gentleman is a guide at Windmill Island who, with his Dutch dialect, gave us the history and played the Amsterdam street organ. Note the red kerchief around his neck....I am really stretching this red thing. 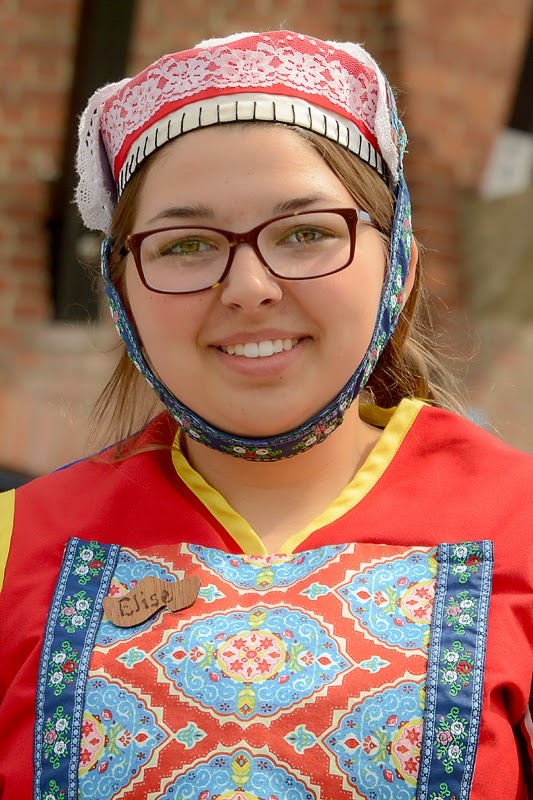 This lovely young lady along with others performed in their Dutch klogs outside of the windmill. They wear up to 10 pairs of socks to protect their feet while performing or participating as travel guides thru the windmill. I will stick to my flip flops, thank you very much. Pretty costumes and definitely red. 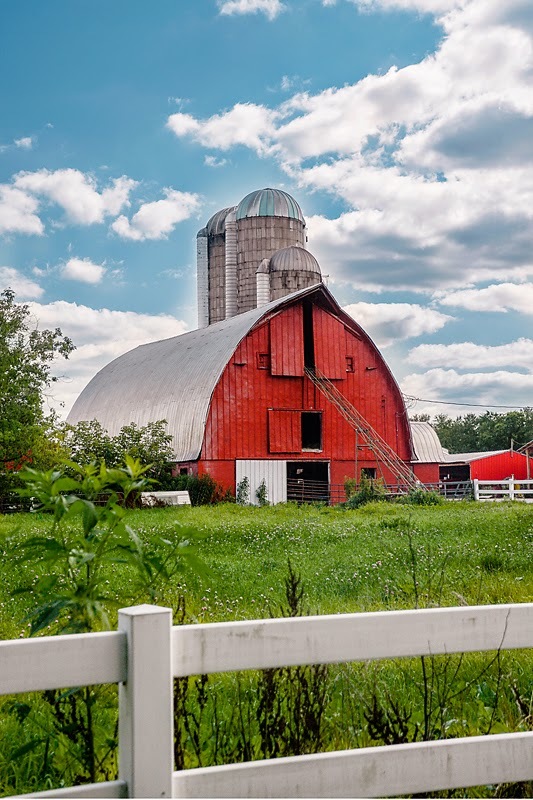 And ofcourse I couldn't visit Michigan without capturing some of the local barns. Isn't she a beauty, so red against that beautiful blue sky, along with a white fence...perfect!! And, a Red Tail Hawk...what a gorgeous bird. 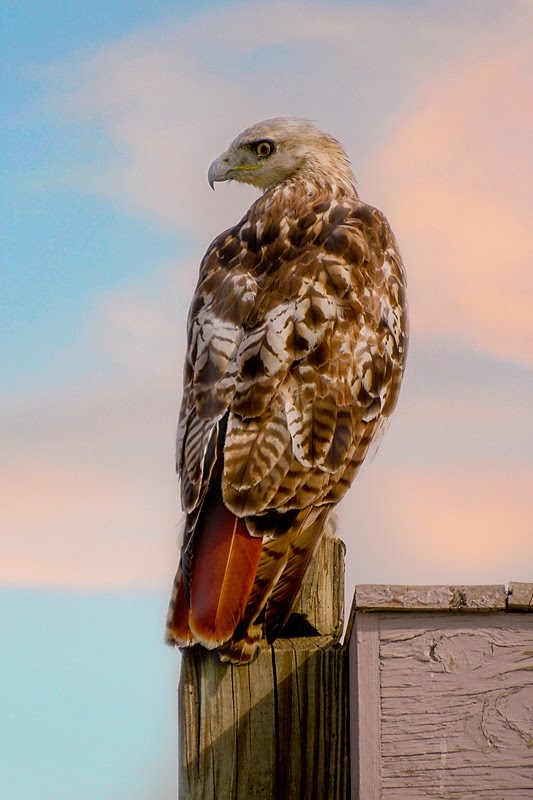 So regal and if you hop on over to my collaborative blog, Focusing On Life, I wrote a little post on the Red Tail Hawk. On Thursday, the day I arrived Patti and I took a walk to downtown Kalamazoo. They have been busy updating and renovating the downtown area and I must say I was impressed. Lovely parks, beautiful plantings, new buildings....whoever their city planners are, kudos to them. Not only do they have beautiful parks etc. they have an area filled with beautiful churches. Couldn't pass up these beauties with their stunning red doors. So there you have it...just a brief tour of part of why I have been MIA lately. I am truly going to try and do better, but with the prediction of the same kind of winter we had last year looming, my back porch needs my undivided attention while I can still enjoy. love all your red, red photos (red happens to be my favorite color, too). 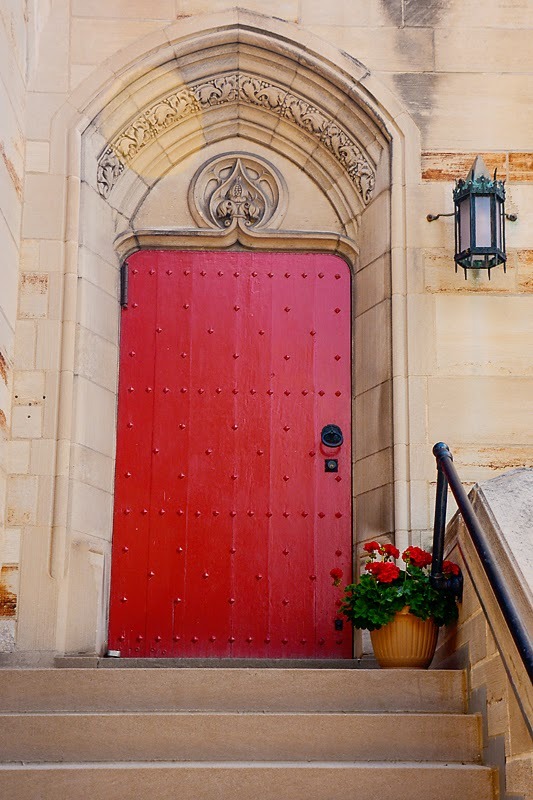 i grew up in the episcopal church that had red doors, and nearly every episcopal church i've come across since leaving home has always had red doors. 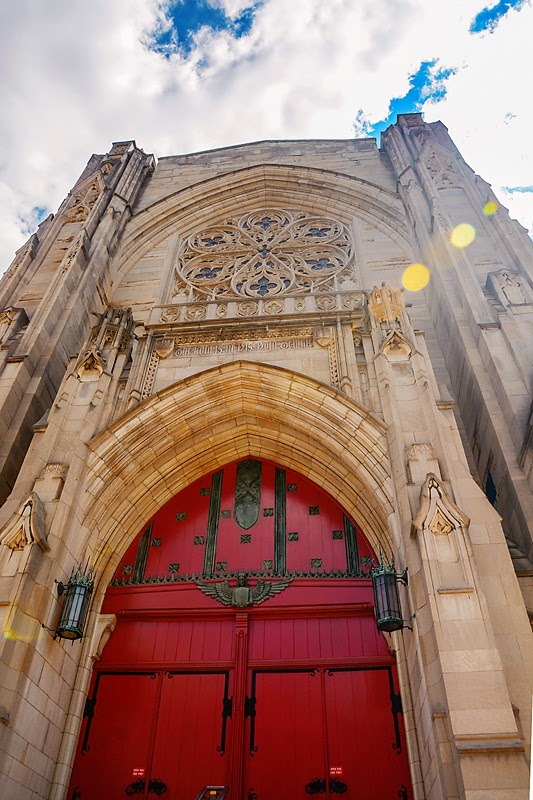 made me wonder if your doors belonged to a couple of episcopal churches. ; ) i do hope your husband can be done with hospitals for a time now. and i heard the same thing about our winter here in northwest arkansas. got my fingers and toes crossed that the predictions are wrong! Beautiful photos . . . Love the RED . . .
A visit to Saugatuck is a treat, isn't it! I must admit, I had a tear or two thinking of you seeing the bench where the two of you have sat in the past . . . Sad to think your sweetie had another hospital stay . . . happy he is back to the nursing home. I am sure those trips away from his usual can be unsettling . . . Happy you enjoyed your trip and excursions with Sarah and Debbie . . .
Oops . . .Patti, not Debbie . . .
Well - you featured my favorite color! I've been lagging a bit lately, too - summer is too precious to waste. Your photos tell a story of wonderful visits to scenic places. Enjoy that back porch, Deanna - I am , too. Oh, no! Not a repeat of last winter! ACCCKK! But in the meantime, I'm so glad you've been enjoying your summer. It looks like you had such a grand time in Michigan and totally understand why you got so sentimental about Saugatuck. It's good to hear from you. I think those of us who blog frequently need a break every now and then. I've allowed myself some slack time this month, too. We need to recharge our batteries, for sure. And, oh, Deanna ... I cannot wait to see you in October!!!! Glad to see you back. Thinking of you tomorrow at your wedding shoot as I'm st mine shooting as well. It is so nice to see you back here, Deanna! It sounds like you are having a very busy, but a very wonderful summer. Nice to see you back Deanna, and as a bit worried about you. 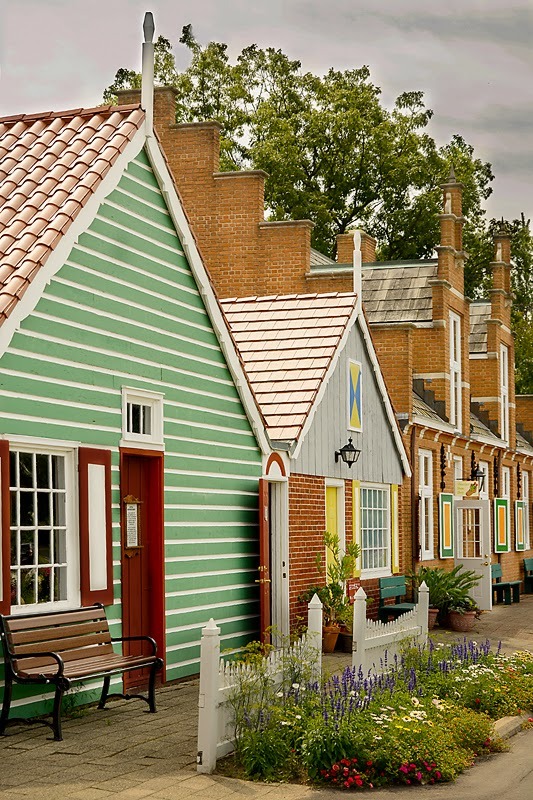 Sorry your husband was back in the hospital, but glad that he is now out and doing ok. Love your shots of Holland. Looks like a really lovely spot. A place I have never been, How exciting that little great grandaughter is going to arrive soon. Know that is going to be so much fun. Enjoy that back porch! Oh, you always have the most fun meeting other bloggers. Beautiful friends and beautiful sights....how blessed are you? And a great-granddaughter! I'd say you're on top of the world! Good for you! So glad to hear that your sweetie is back to his home away from home, those darn UTIs. Lovely to see your photos from our day together, a very memorable day for me to share it with the two of you. HI Deanna Yes you were missed, certainly by me and now I am off tomorrow for 6 weeks to Malawi!! It must havNow gete been great to meet 2 otherbloggers adnalovvely photo it istoo. Iwould love to meet up with some bloggers although i am so far away from most of you! Sorry ou sweetie was in hospital again. Love all the shots with "red" in them. Now, get back to some blogging! Glad to hear you're doing well! Hope your sweetie stays on a path of health!! 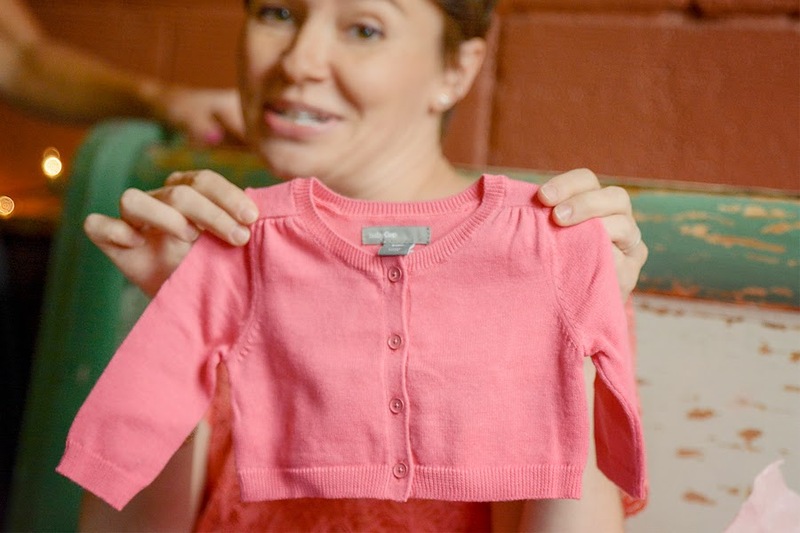 The little cardigan - so so so sweet - good wishes to her!! I'm so glad you're back and have been busy with enjoying your summer! I've been a bit MIA, also - just lazy... Your trip to Michigan looked beautiful - and what fun to meet some blogging buddies! Pleased to hear all is well. A great-grandbaby to look forward to and enjoy - now that will be a treat indeed. Looks and sounds like you are doing good. We have missed your posts and pictures, but glad you are living life fully! Continue to take advantage of the fun, friends, trips and a good cup of coffee on your porch. I'm sure you are in good company with your sweet little dogs. I was thinking the other day how ironic it was that this summer when there is so much to photograph, I don't quite feel like blogging, I'd rather be outside or doing something else. I totally understand your lack of blogging. We are expecting our first granddaughter any day too (Glen Ellyn). Very exciting! I'm sending you a hug...missing your husband at the bench by the beach made me teary eyed. I am thankful for God's promises to all of us. I really like that red theme you've got going on here. Glad your sweetie is out of the hospital. Glad your husband is feeling better. Wow, Deanna, sorry to hear of your husband's trouble this summer. Hope things are on an even keel. All your images are stunning, but if I had to pick a favorite, I'd say the hawk. Sorry to hear of your Sweetie's hospital visit. Hope he is all better now. Your photos are so lovely, as always. I've missed seeing your posts, but do understand. I'm having trouble keeping up with just about everything at the moment! So much to do and so little time to get everything done. Winter will be upon us before we know it; perhaps then I can focus more on blogging.